The painting is better with paws licked squeaky clean, but it still strikes a precarious balance between gloating grimness and operatic smugness—the bear on the right relishes the tasty spare rib of an explorer with eyes closed in histrionic satisfaction. Think what a strange subject for a painting that really is, two ice bears devouring the frozen bodies of the members of a polar expedition, sort of seen from the animals’ vantage point. When Edwin Landseer painted this in 1864, the fate of John Franklin’s doomed 1845 expedition in search of the North-West passage was still very much on the public mind (the full story became official only in 1859), and it seems the artist made several references to the actual reports (the weather, the impotent rifle, etc.) 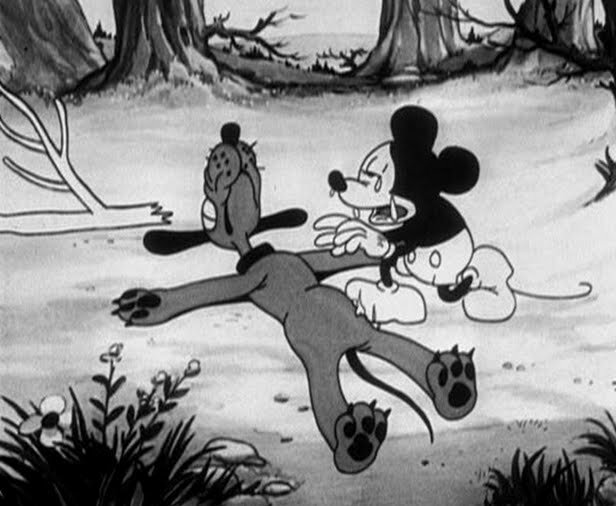 that left no doubt whose bones the animals were chewing on. Is that what the artist wanted to offer, a graphic illustration of a miserable fate, now creep yourself out? It was good for both of them. 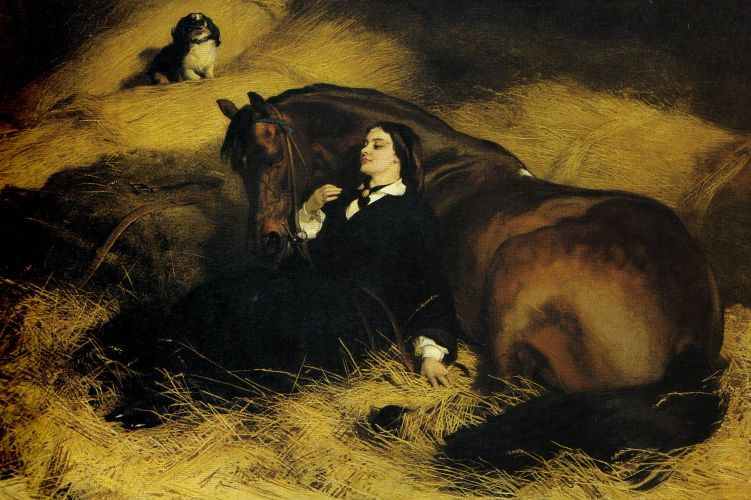 This is The Shrew Tamed from 1861 and must be the most blatantly postcoital painting ever. Which one’s the shrew? The woman would have been read by the cognoscenti of the times as one Catherine Walters, highly celebrated close-to-last courtesan in London. Again, the critics did notice a deviation from the proper function of art in this portrait: “A high-bred horse of soft silken coat, dappled with play of light and shade as on velvet—subdued by a ‘pretty horsebreaker,’ is certainly unfortunate as a subject.” More remarkable than the subject itself, and perhaps more unfortunate for the critic, is the bearing of the horsebreaker, that of an independent, even dominant but carefree woman. The painting seems to celebrate her freedom, which comes with the privilege of an outsider status that is the product of projection from those powerful enough to be bored by the society they rule. The courtesan’s spaniel on the hay takes the position of a leopard in an earlier painting, Isaac Van Amburgh And His Animals from 1839, whose composition is sort of abbreviated in the later work. Alerted as we now are to the rather free and easy play with gender and sexual signifiers, it becomes difficult not to see van Amburgh as staging a rather decadent tableau here. 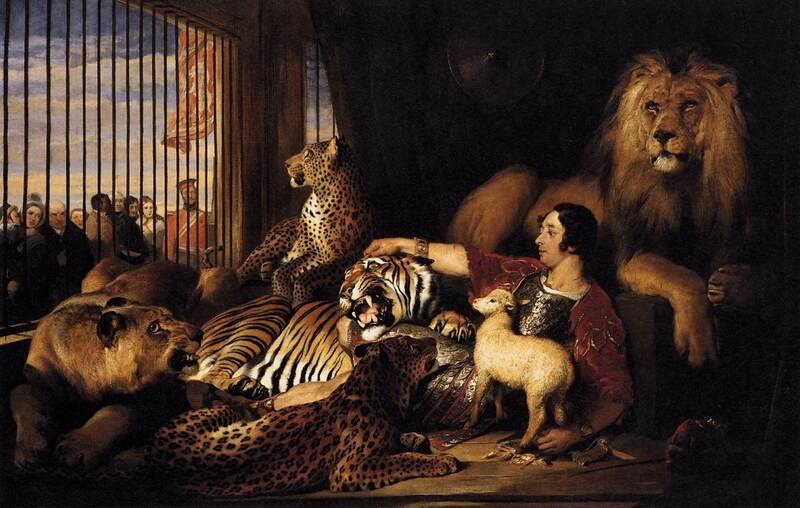 It is interesting that the animal tamer’s reputation (allegedly he was the first to deliberately put his head in a lion’s mouth) does not suggest his stage act fit the somewhat effeminate image. On the contrary, when he came under attack for spreading cruelty and moral ruin in his own country, the United States, van Amburgh quoted the Bible, “Didn’t God say in Genesis 1:26 that men should have dominion over every animal on the earth?” and continued to mistreat his feline wards, and who knows maybe the lamb too. 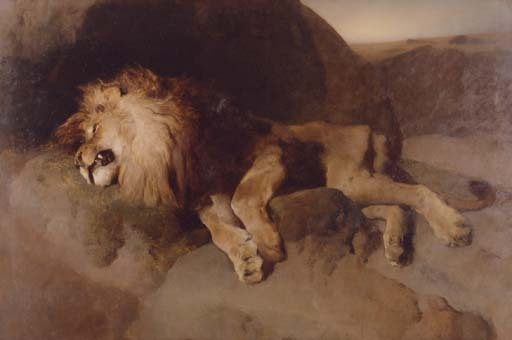 He was usually portrayed in not quite so languid a pose, among other artists by Landseer himself, but rather as a tyrant within the empire of his cage. I would guess that our portrait was part of a public relations program, since there is another by Landseer, where van Amburgh is shown caring for his flock like a good shepherd. Again, who’s the shrew (here the tamer tamed? 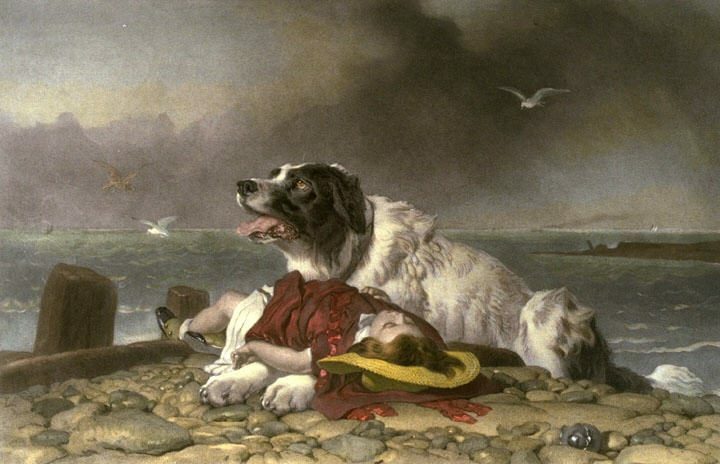 ), anyway Landseer seems to go about his job with such evident gusto, delivering the limp hero in somewhat faggish terms, that I suggest the painting very well knows what plush abode it is setting up. See the strangely subdued society visible without the bars, are their looks not disapproving of that bohemian lifestyle of the fop within who shares his diggings with the viewer? What is also interesting is that here we are at the exact opposite of our view of creation from what the first polar bear painting said. Now we have Nature flossed and pedicured. But it doesn’t matter. Like our Ruskin paragraph seems to suggest, the proper function of art works from the largest possible amount of narrative, and aims to bring in more narrative through means fair and foul, details and titles. The nature of that narrative will be secondary, as long as it related to man. The answer has bitten the dust.